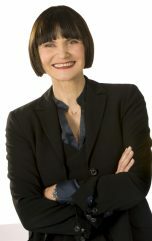 Anne Marie aus Schaffhausen ist zur Zeit bei ihrem Sohn und seiner Frau in Los Angeles auf Besuch. Für Thomas das typischste Schweizer Gericht ist eine Bratwurst mit Rösti. „Im Alpine Village gibts die beste Bratwurst in L.A.“, verrät der Küchenchef. Ernest, a father of three, was born in Los Angeles. However his parents, his mother was from Basel Stadt, his dad from Sankt Gallen, came to Southern California in the late 50s. They had a restaurant “La Petite Suisse” in Westwood between 1966 and 1984. Molly, her son Chase and Erika are Swiss-Americans. They are dual citizens and carry Swiss passports, however, they have yet to visit the land their fathers came from. Erika’s dad himself hasn’t been to Switzerland since 1968 when he developed polio and found that his homeland is not very accessible to wheelchairs. 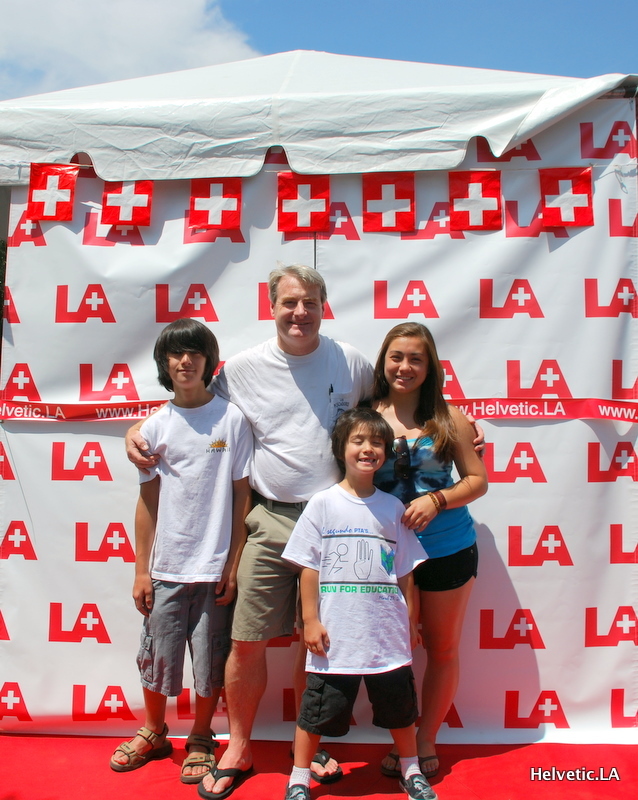 This family from Malibu demonstrates their Swiss pride every year with a trip to the Whittier Swiss park for 1. August celebrations. Their grandfather migrated from Switzerland to the US when Jack Warner, the head of Warner Bros., loved his cooking so much that he made him his personal chef. It’s been years since Albert Wyss has been attending August 1st celebrations at Swiss park. The massage therapist and fitness trainer to the stars is originally from Kloten and he and his German friend, the comedienne Marlene Parker, were looking forward to a Bratwurst, Rivella and Merengue glacé. Karen Elsener from Rheineck, SG, has been in the US for fifteen years. Like every year, her kids are looking forward to the crossbow shooting and face painting, the parents come for the Swiss food. Steve and Christiane would have won the prize for most original costume, had there been such a contest. They’ve met 1974 in Los Angeles and one year later she moved to the US for love. This was their first time in Whittier since these Swiss Park virgins usually spend summers in Switzerland. THANK YOU for playing the “roving reporter” and capturing the day’s Celebrity arrivals: the Swiss Families attending the August 1st Festivities, Gabriela Tscharner Patao, Former Radio 24 DJ and host of the talk show “Ziischtigs Club” on Swiss TV SF DRS. Gaby has been living and working in Los Angeles as a journalist and foreign correspondent. What a great day at the Swiss Park in Whittier, CA, about 20 minutes East from LA, off the 60. 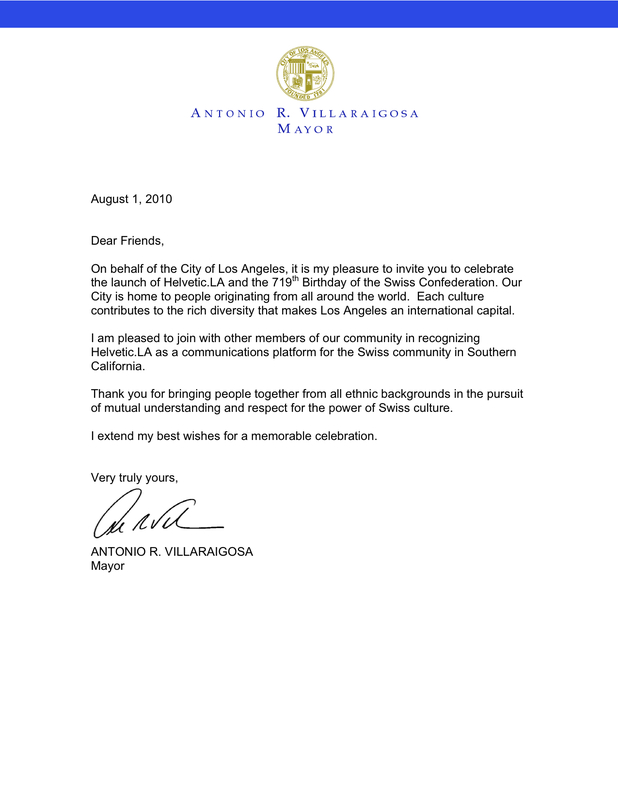 The event was masterfully organized by Lilo Holzer, Community Organizer and Producer of this traditional yearly Get-Together for the Swiss Community in the LA Area. Thank You Gabi Tscharner-Patao with daughter Leilani, who helped with documenting the day; more on that shortly! 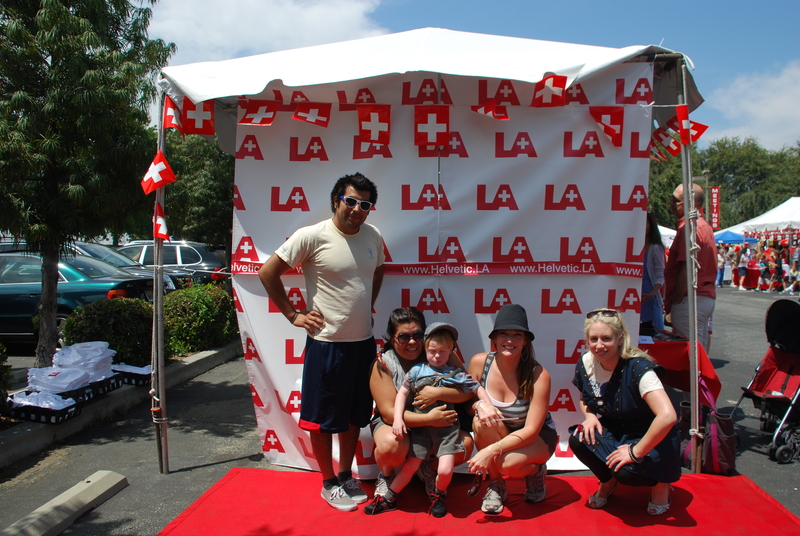 The Helvetic.LA / Swiss-American Chamber of Commerce / Swiss Center LA booth was busy non-stop from 10am to 4pm, and dozens stopped by on their way home until 6pm to show support by getting an LA+ T-Shirt or Bumpersticker. (Yes, and online Store will follow shortly for those who forgot, didn’t have cash on hand or couldn’t attend 🙂 ). It was fun sharing the booth with http://www.StreetBelt.com co-founder Reto Schürch, whose Recycled Fire-Hydrant-Marker-Fire-Hose-Belts were the Hippest item of the day! Reto’s Story is really interesting, knowing he’s been a Goalie for various Swiss Hockey Clubs (yes, he’s good friends with Jonas Hiller), and now involved in StreetBelt.com with two other visioneers, Hans-Jürg Kühni and Ciro Barisi.